La Sures began hosting events for businesses and organizations with the opening of the Banquet Hall in 2002 at 3125 S. Washburn St. next to the Hawthorn Inn & Suites, just off US Highway 41 on the south side of Oshkosh. 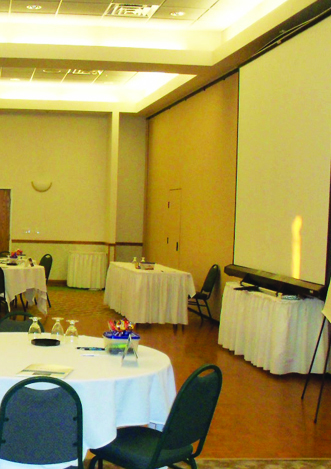 Since that time, the banquet hall has hosted corporate gatherings, dinner theater, fundraisers, training meetings, organizational meetings and many other events on a weekly and sometimes daily basis. The banquet hall is beautifully decorated and can accommodate on-site catering for up to 400 guests, complete with a full bar and state of the art audio/visual capabilities. 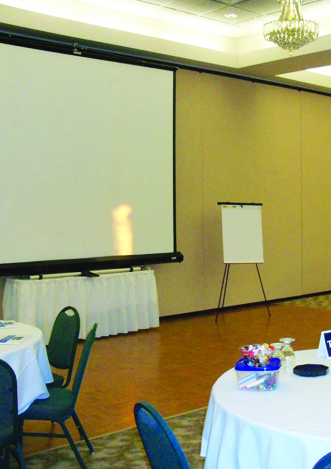 The main ballroom can be divided into four smaller rooms to accommodate any size group, and a boardroom is also available. 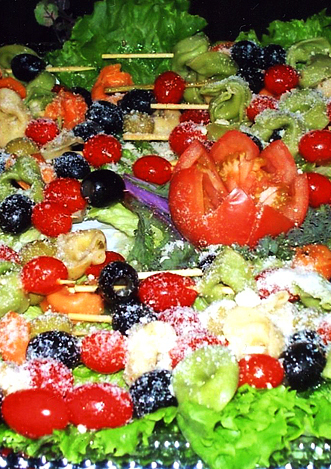 La Sure’s has an extensive catering menu to select from, or you can customize your menu to please your taste. If you don’t see it on our menu, just ask us to create it. La Sure's has been catering off-site business meetings and parties for over 30 years and has catered over 50,000 events from corporate dinners and company picnics, to weddings and hors d’oeuvres parties. We have the expertise to cater your next business function with the professionalism and attention to detail you need and want. Call one of our catering specialists today to start planning your next business event.